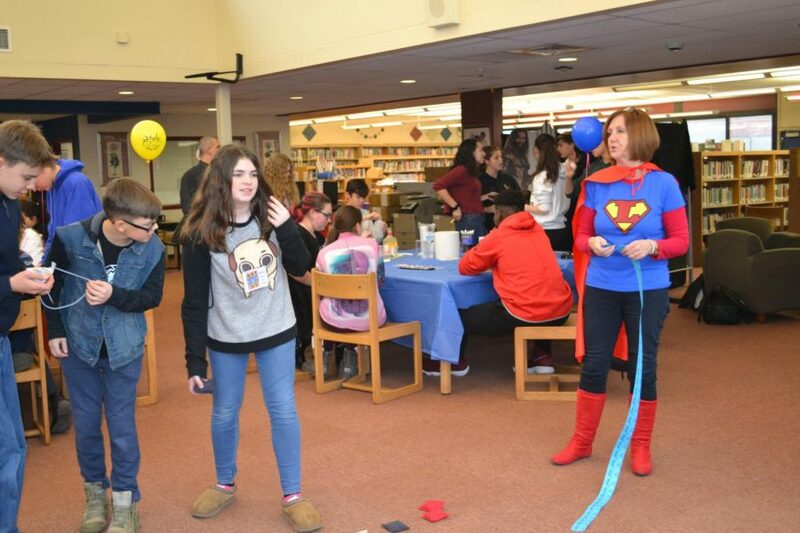 Students came together to celebrate superheroes, sci-fi and fantasy on Jan. 16 in the high school library at the second ever West Essex Comic Con. The turnout greatly surpassed the expected amount of attendance, and over 100 students got their faces painted, shot arrows at a target and created their own superheroes to earn tickets, which were traded in for prizes at the end of the event. Comic Con activities included Harry Potter bookmark making, face painting, carnival games with comic book spin offs and a photo booth. 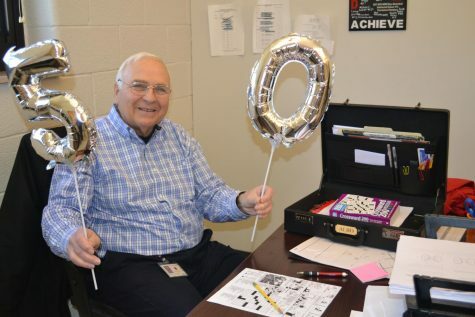 Students enjoyed making crafts and playing games, and especially looked forward to the prizes that were raffled off at the end of the event. Librarian Rosemary Rich and library assistant Vickie Mirsik worked in conjunction with the Fairfield Public Library to create this event. Many of the students who attended Comic Con also attend similar programs at the library such as craft-making and movie viewing. Although only 60 students signed up to attend Comic Con, more than 100 attended the event. 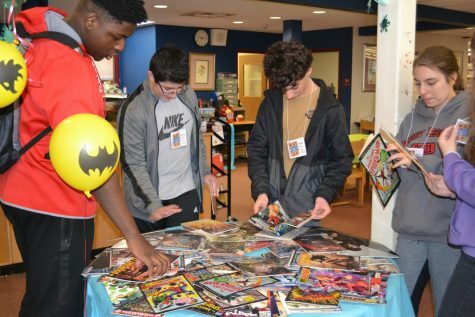 The West Essex library staff, including librarian Rosemary Rich, said that they were impressed with the turnout and were excited to finally bring back Comic Con after the last time it occurred in 2015. Because of the success of the event, the library staff has decided to continue hosting comic-themed events every two months from now until May. Administrators from surrounding schools came to observe Comic Con in order to bring it back to their own schools and spread the love of comics into the community.